I just made a table cloth that was even easier than I though! Ready to have your mind blown? 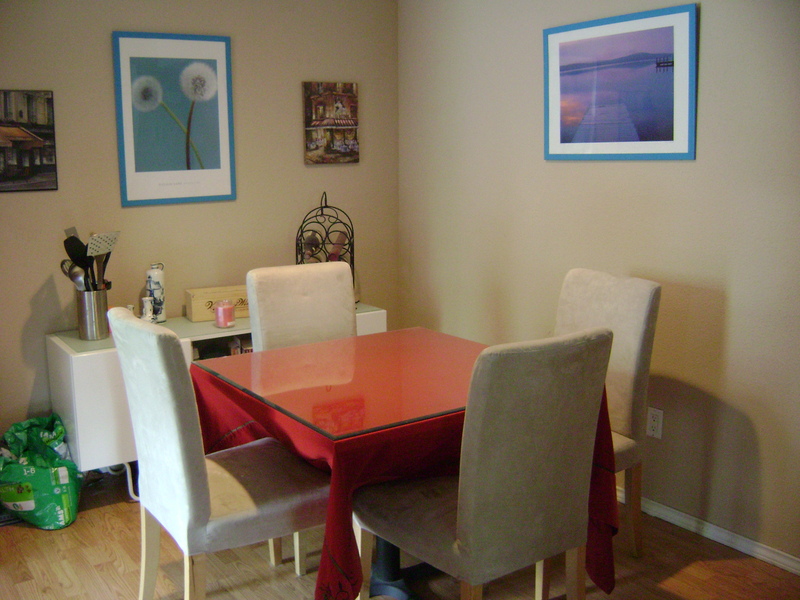 I think it turned out very summery and matches my pictures that were already hanging well. Would you like to see a before? 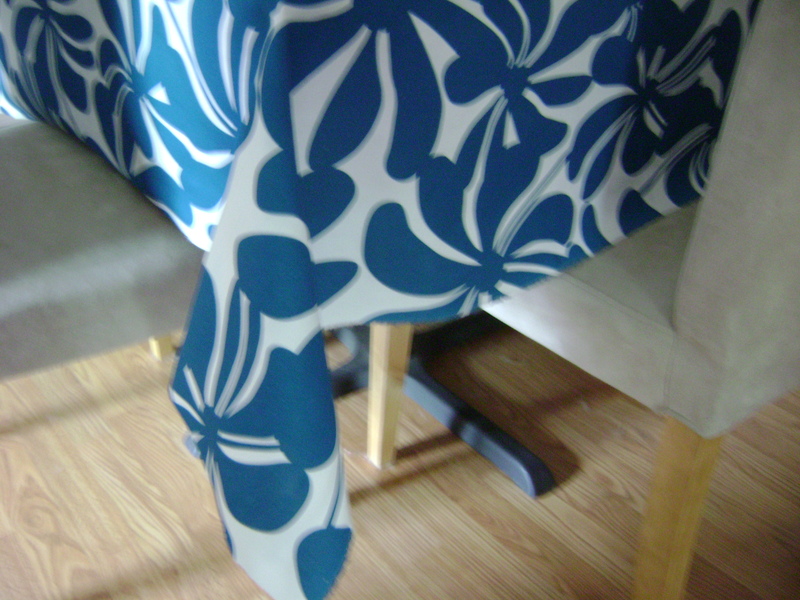 I bought this table cloth during Christmas (2009!) and it has been there ever since. It is very pretty, but I wanted to brighten up the place a bit. Yes, it actually has poinsettias in ribbon work on the corners, and it is velvet. It was time for a change. 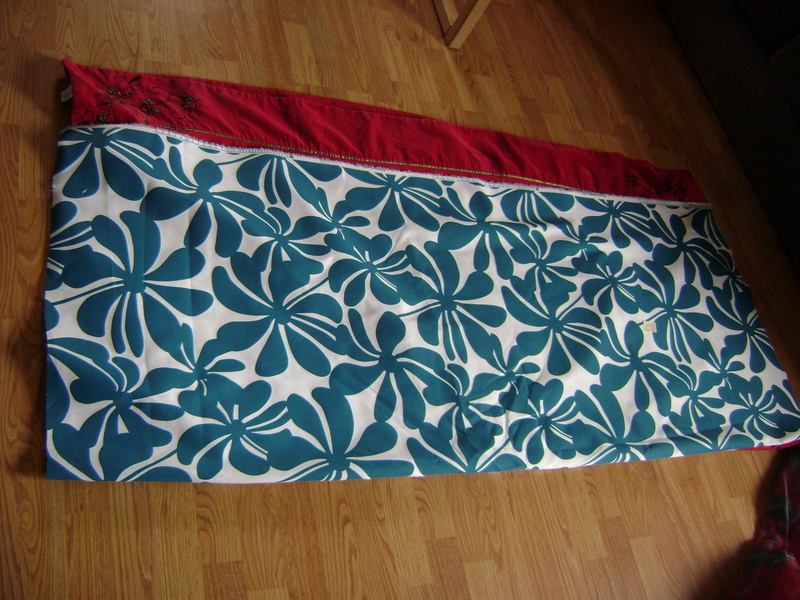 My friend Holly and I made a table cloth for her a few weeks ago. She has a round table, so we sewed two pieces of home decor fabric down the middle and created a circle. I thought I would do the same, but just make a square. 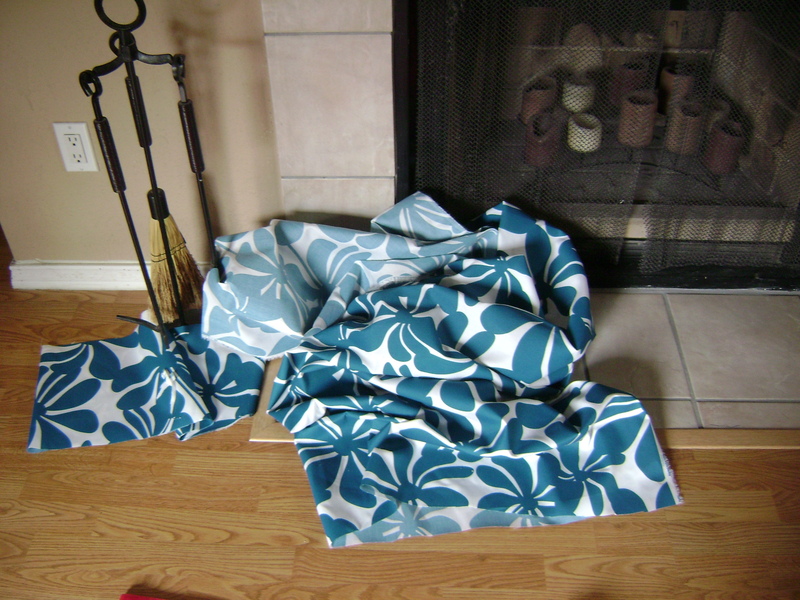 I started by taking my current table cloth and folding it in half. I laid my new cloth over it and cut it to the same length. 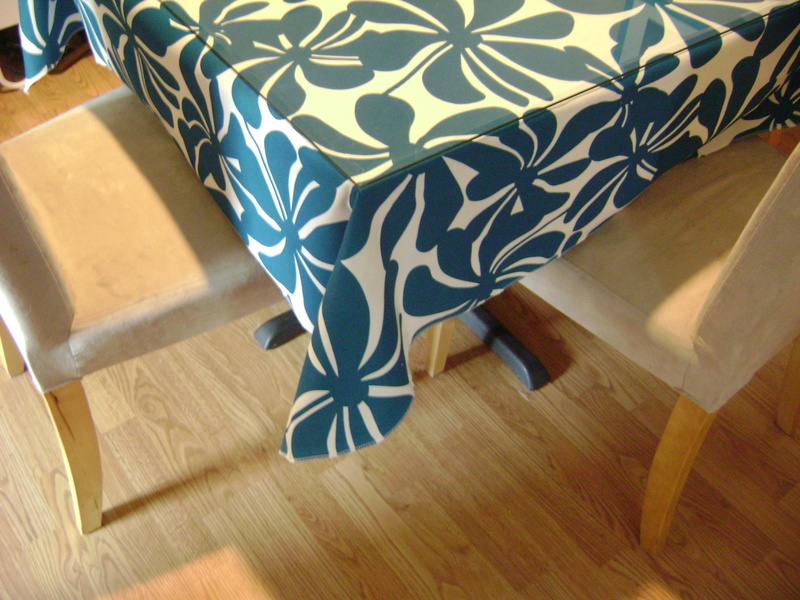 I thought the two were pretty close in size, so I laid the new cloth on top of the table and really liked the size of the width for the table cloth. 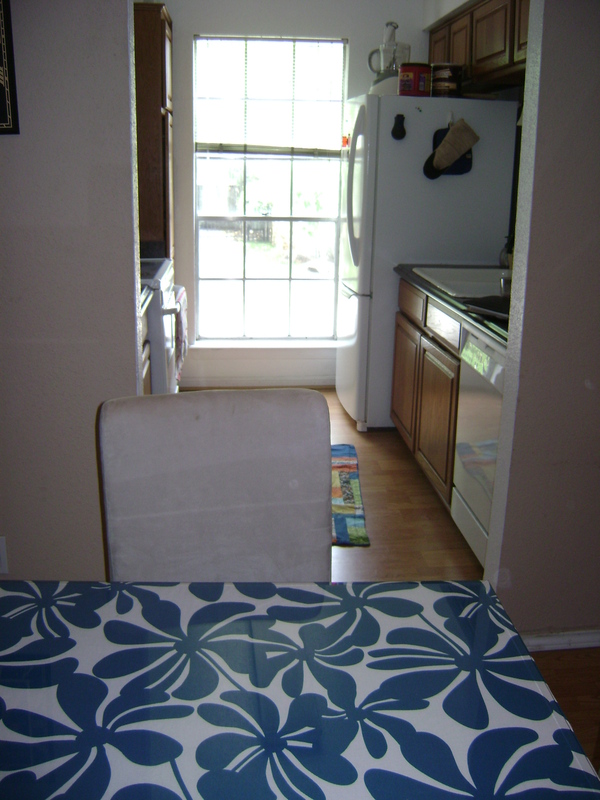 I eyeballed it to make the cut edges skim the chairs to match the width. I just cut it from there. I wound up with a pretty even square. I took my square cloth to my serger and just serged around all the edges. Holly and I did this on her circle table cloth and it looked very cool and was so much easier than hemming a giant circle. I decided to do the same for mine, and it is so easy! 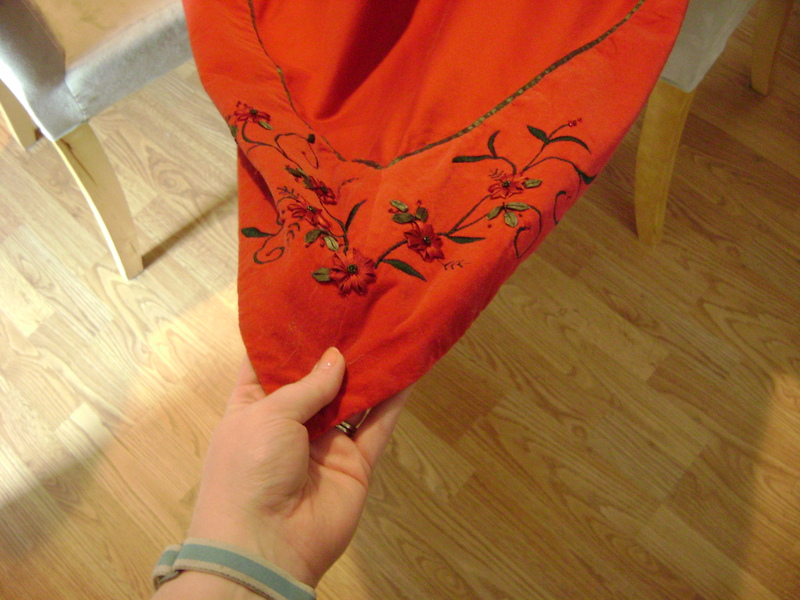 I used a three thread overlock stitch. 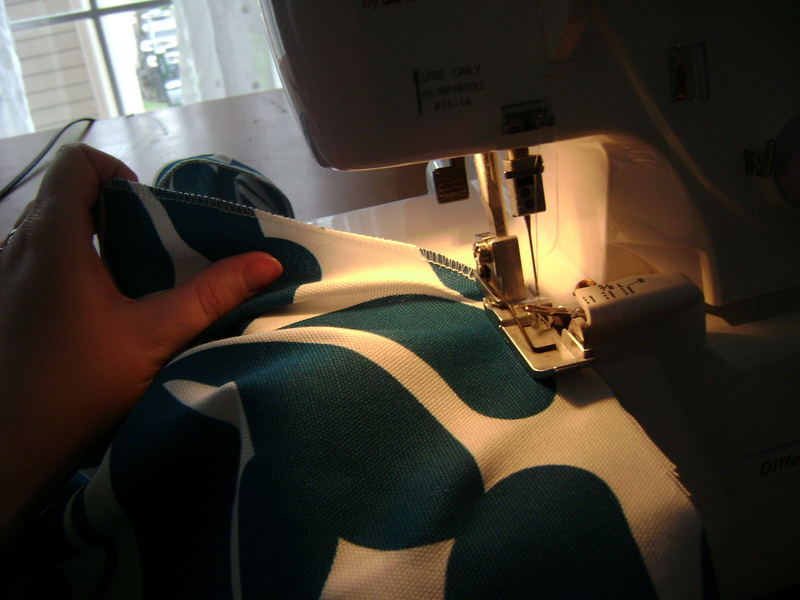 I love my serger! 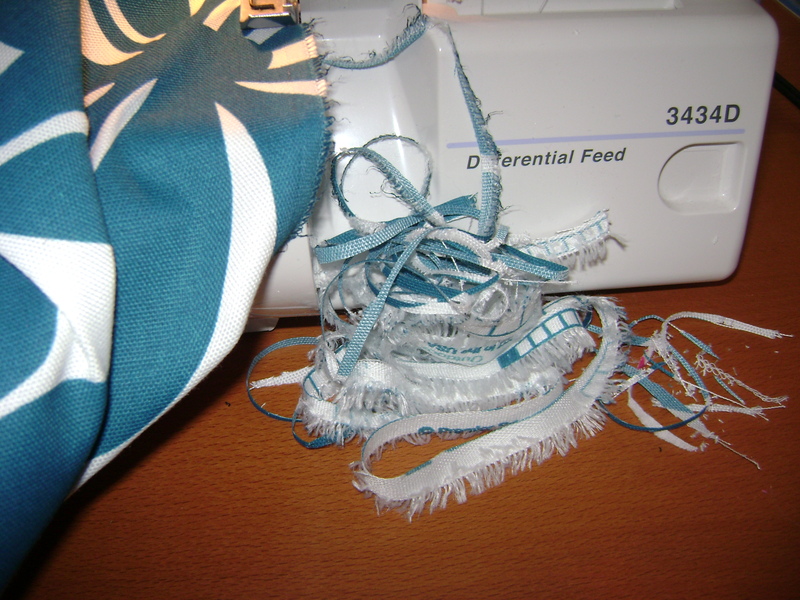 My serger even cut my selvedges and uneven cuts for me! Yay! Here is a close up of the final results on my table! You can hardly even see the serged edges. And here is my after shot again. I just love it! I think I feel some matching kitchen accessories coming on! 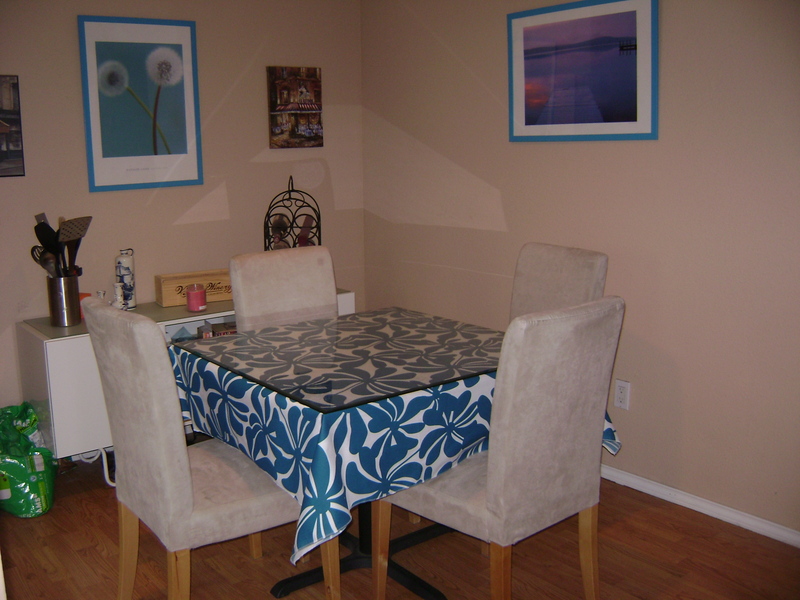 This entry was posted in Home Decor, Project Tutorials, Serger FYI and tagged easy table cloth tutorial on April 15, 2012 by staciethinks. Very cool! Something that I found works nicely with my 3-thread serge is feeding a ribbon (the “spool o ribbon” kind works well) onto the edge as I serge. Makes for a cool, pretty finish, IMO. I love that idea and can’t wait to try it! Thank you.